It's standard practice across the EU, when trading on WTO terms, to retain 80% of the income from import tariffs for the EU central revenue. There have been calls on the EU to waive the tax on income from tariffs on Irish imports from the UK in the event of a no-deal Brexit. The Association of Chartered Certified Accountants says the EU should divert the money to the Irish Revenue Commissioners which could then be distributed to the industries worst affected by Brexit. 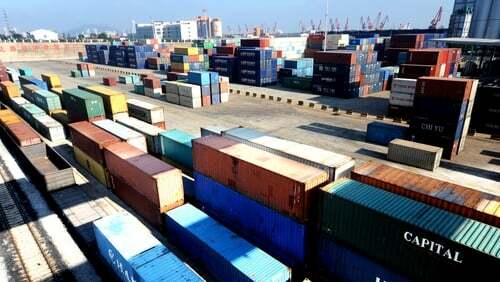 The remaining 20% is retained by the revenue office in the country importing the goods. WTO tariffs, if implemented under a no deal Brexit, would likely raise the costs of many UK goods and services in Ireland by between 5% and 30%. The additional cost would likely be transferred to consumers. According to estimates, this could reduce GDP by as much as 1%. Stephen O'Flaherty, Chair ACCA Ireland, said Ireland found itself in the eye of an international storm with Brexit and the EU must maintain support for the Irish economy. "In particular, this additional revenue could be redirected to support investment in sectors such as the agri-food industry which sees Ireland's largest trading partnership (38%) with the UK, exporting €5.2bn of goods in 2017."